The arrival of Mario Hervas’ fresh crop of coffee is an event we all look forward to in the Caravan Roastery calendar. Growing exclusively Typica Mejorado, a cross of Geisha and Bourbon varieties which showcase the best of both lineages, Mario has delivered another showstopper. Mario’s farm El Meridiano is incredibly beautiful, full of natural water sources, waterfalls, and a beautiful landscape view of valleys of Pichincha; and it this location that he’s used to pioneer specialty coff¬ee in the municipality of Nanegal. Mario was an early adopter of the techniques used to achieve specialty grade coffees, helping to drive forward the reputation of Ecuador as an upcoming powerhouse for excellent quality coffee. Mario was an agronomist for 17 years, working with large-scale rose farms throughout Ecuador, and bought El Meridiano as a passion-project. 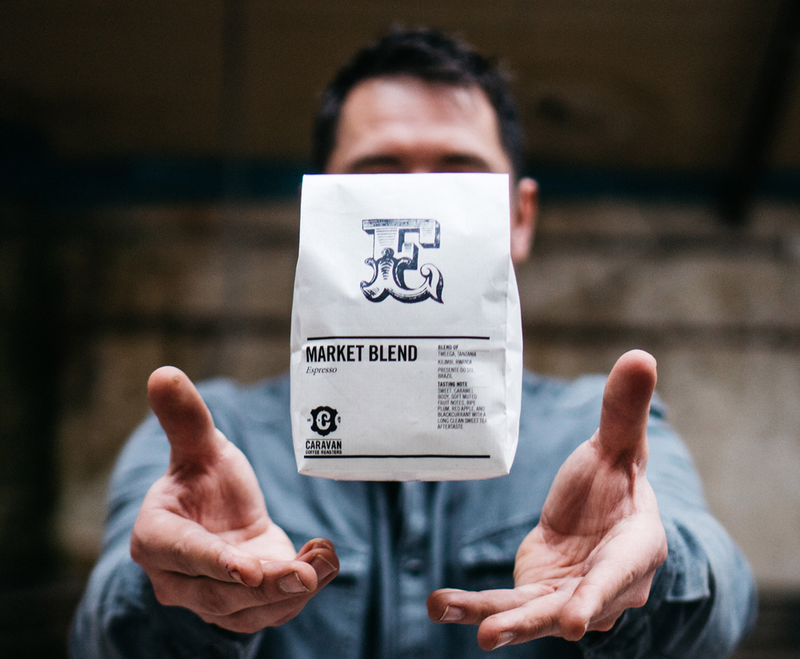 Applying his knowledge to the business of growing coffee, Mario has been on the cutting edge from the moment he hit the ground – and as a result his coffee is impeccably grown, clean and well processed. Safe to say, he is a farmer who we are extremely proud to have been working with for the past three years. The variety grown by Mario has an interesting origin in and of itself – originally developed for higher yields and disease resistance in a commercial plantation run by Nestle, the seeds were smuggled out by the workers on the plantation to grow in their own farms. Initially misidentified as Typica due to the physical characteristics of the plant, genetic testing conducted on a sample sent to the World Coffee Research labs identified the Geisha/Bourbon heritage of his trees. Geisha is world famous for its bright, complex acidity and incredible complex floral aromatics, and bourbon for its buttery body and deep sweetness. To best brew this coffee, we use a Kalita wave 185. Using 30g of coffee ground coarse, we bloom with 100g of 94c water. Stir the bloom to ensure even wetting before pouring 400g of water in slow lazy circles, topping up as it drains to finish pouring at 2:30. Spin the brewer gently at the end of pouring to loosen any coffee stuck in the niches of the filter paper and to level the bed for an even extraction.